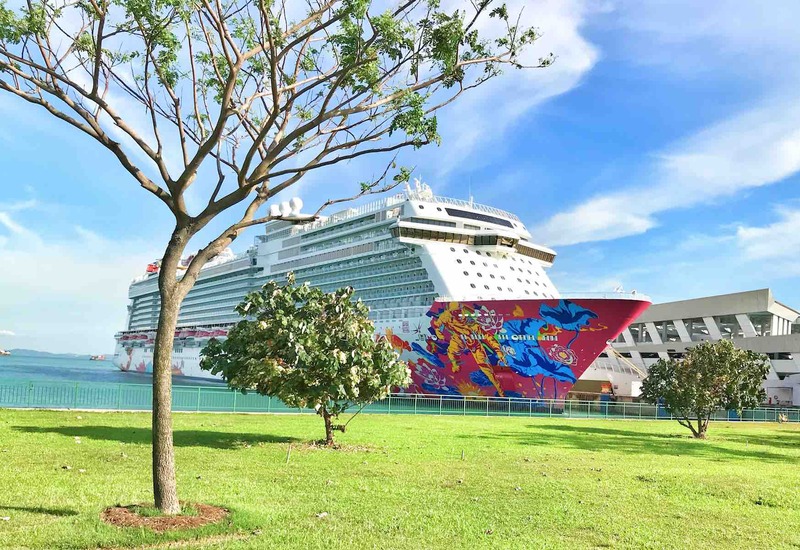 Dream Cruises Genting Dream is hard to miss from a distance. 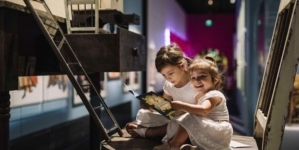 The 18-deck, 150,695-ton cruise ship can accommodate 3,400 guests and 2,000 crews onboard with over 70% of the staterooms featuring private balconies and over 100 connecting rooms catering to extended families and groups. 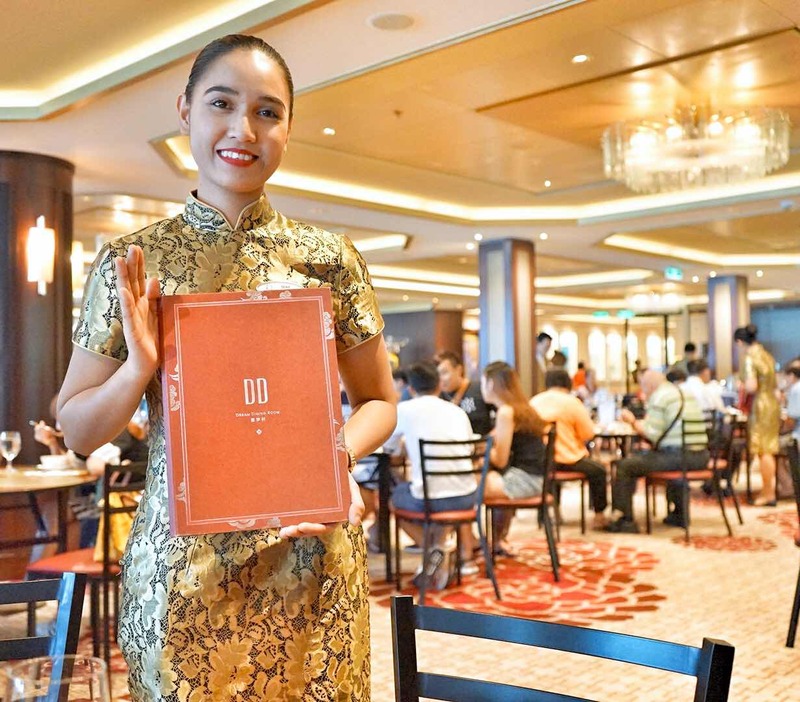 Launched in November 2016, Genting Dream is a ship designed for your dreams – featuring the comfort of authentic Asian hospitality combined with some of the best experiences from around the world. We will be boarding the vessel at Marina Bay Cruise Centre, come join us on our very first Dream Cruise experience! 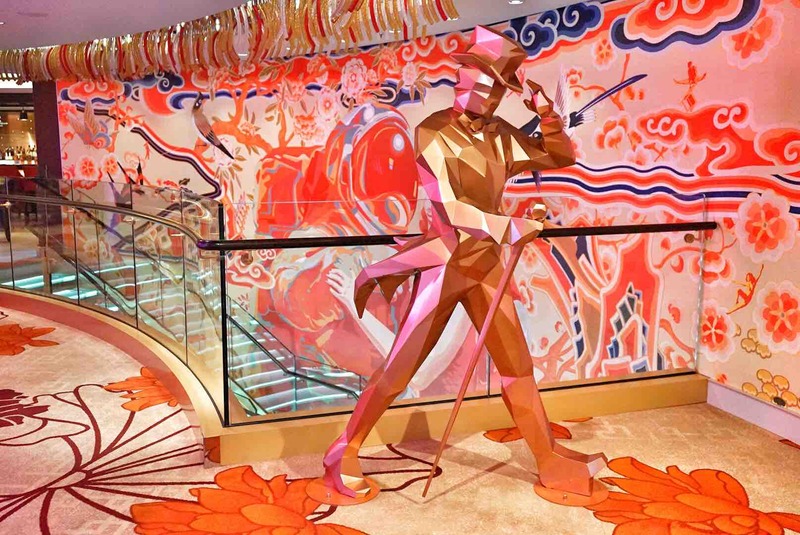 The first thing you will see before boarding will be Dream Cruises Genting Dream’s stunning and fantastical hull artwork from renowned Chinese pop-artist Jacky Tsai. 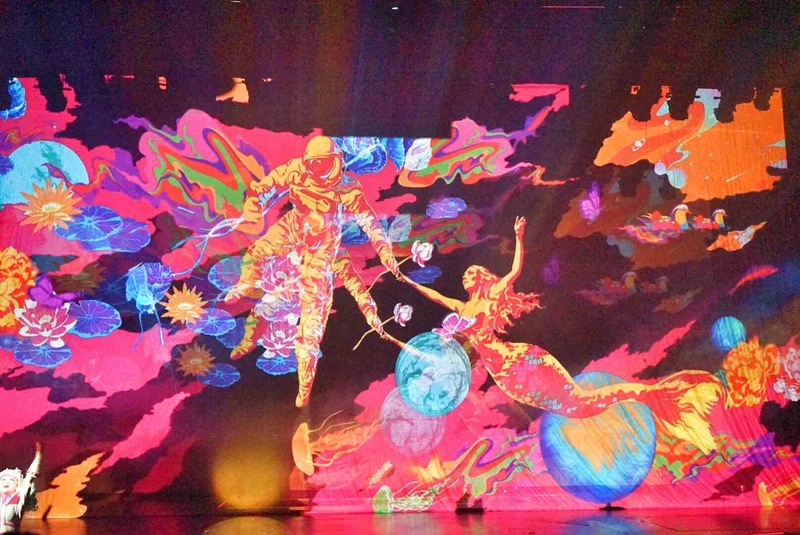 The art piece titled ‘Voyage of a Lover’s Dream’ tells the surreal love story between a mermaid and an astronaut, and combine the essence of oriental culture with popular elements of Western art. Checking onto the ship is really simple, fast and efficient. You will be issued with your personal card that grants you access to your stateroom, allow you to charge all expenses onboard to the card as well as tells you where you are supposed to gather in times of emergencies. Do not lose that card! Once onboard, we are all ready to explore the ship! Over 70% of Dream Cruises staterooms come with private balconies and we were glad ours had one too! You can spend countless moments late at night enchanted by the deep blue sea while sipping champagne and wake up to incredible views of the horizon. 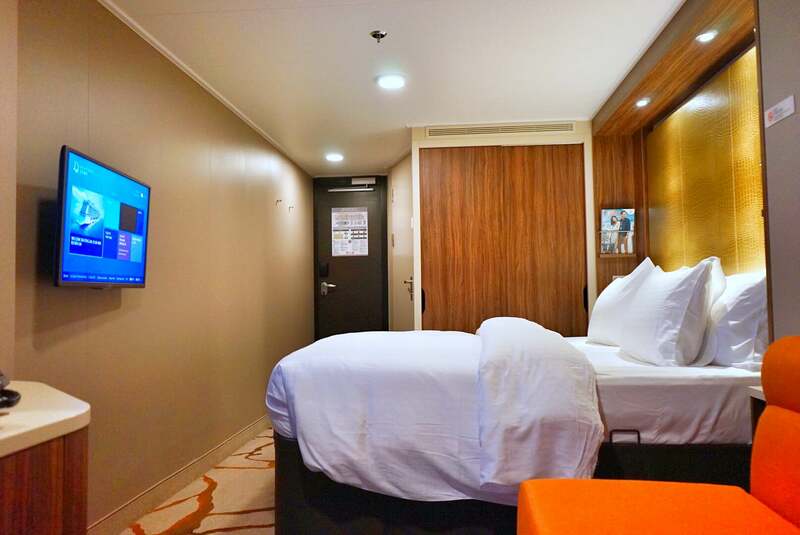 Contrary to what many think, staterooms are not horribly cramped spaces. Our stateroom offered lots of legroom and we love their ‘Dream Beds’. These beds are an amazing combination of high-quality mattresses, silky- smooth sheets, bouncy duvets and a mountain of pillows. There was so much to do and see on this massive ship that we did not hang around our stateroom for too long. 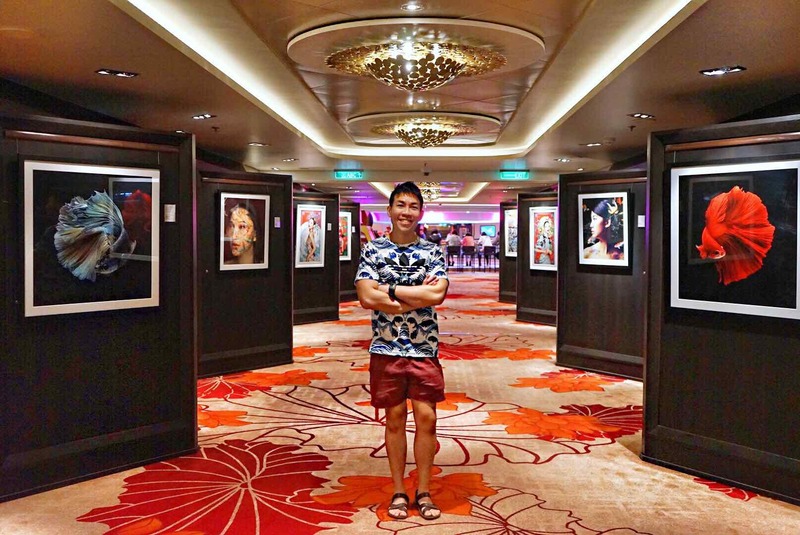 There were loads of great photo spots to stock up your Instagram feed like this classy art gallery onboard. This romantic stairway encapsulates the story that captures hopes and imagination – the love between an astronaut and a beautiful mermaid. For ladies looking for exclusive pampering and rejuvenation, there is Crystal Life. 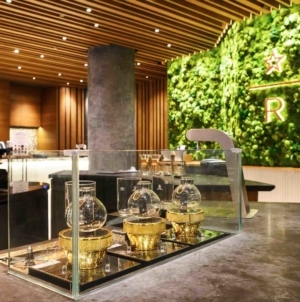 Home to both contemporary and traditional treatments from Asia and the rest of the world, you can spend hours there on rejuvenating experiences. 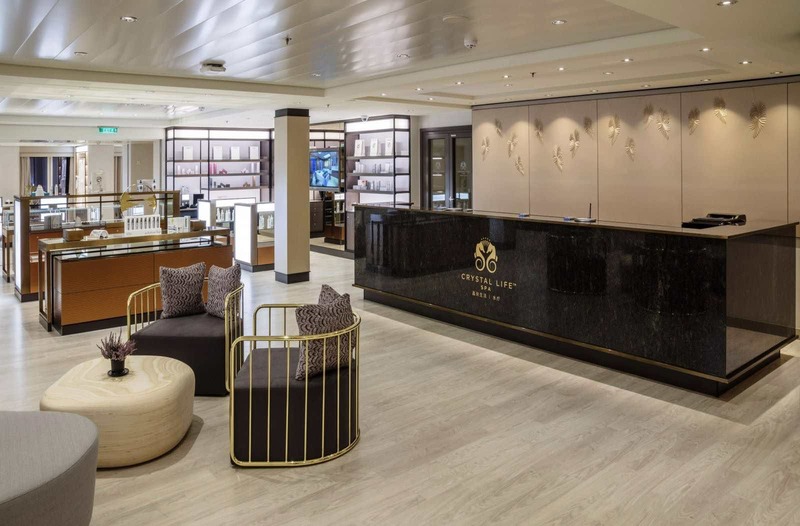 It features the largest Asian reflexology spa at sea, plus over 20 private rooms for Western spa and massage treatments. And to counterbalance your onboard indulgences, there’s a state-of-the-art fitness centre and modern wellness cuisine. 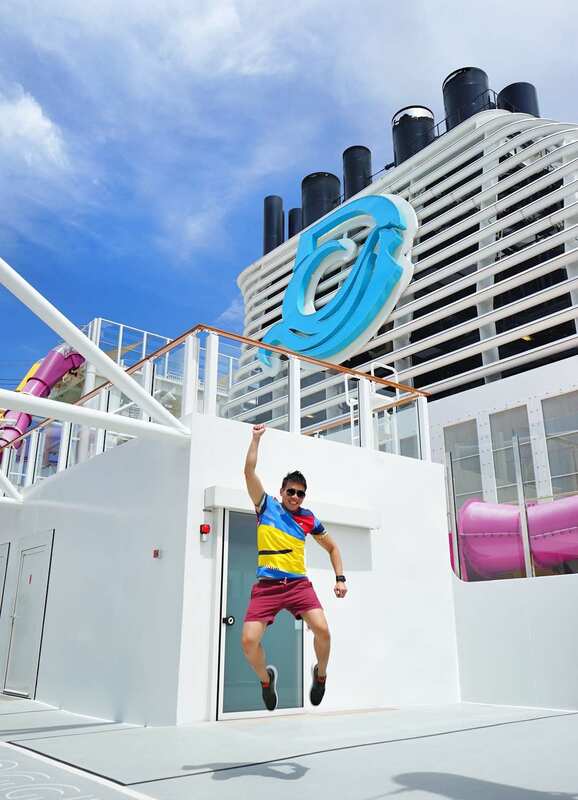 Your time on Dream Cruise is not just sleeping, eating, drinking and repeat. 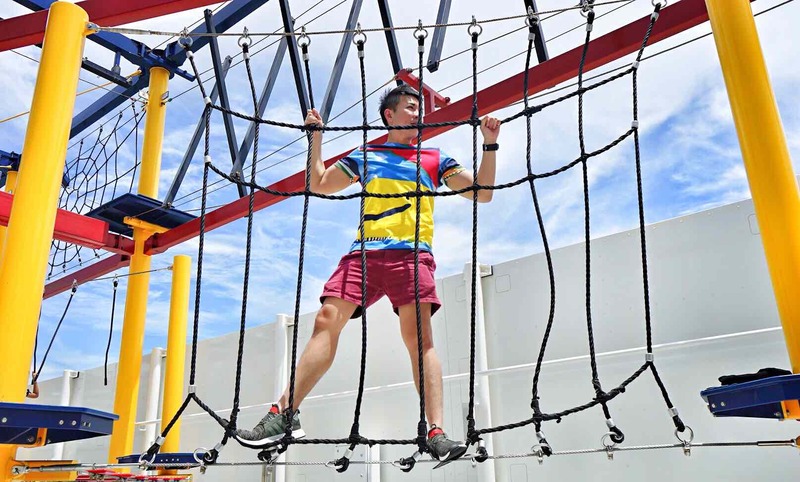 There are loads of outdoor activities onboard for you and your entire family to sweat it out and enjoy the sun! Thrill-seekers with a spirit of high adventure should go for the 35-metre zip line for an adrenalin-pumping glide over the side of the ship with the ocean’s waves lapping 18 decks below. If your kids are searching for excitement, you can’t beat the fun of our Waterslide Park. So take the plunge and enjoy the thrill of speeding through the water high above the ocean. 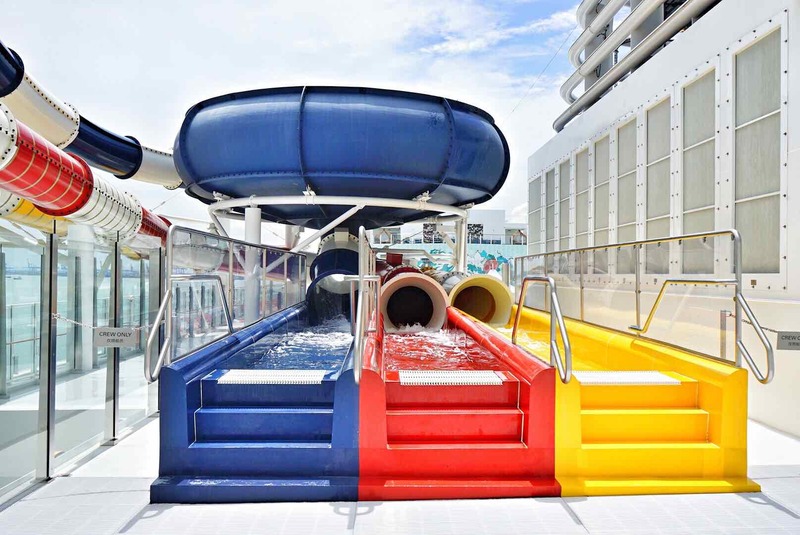 The ships feature six slides to experience; gentler ones for the family and faster ones for thrill-seekers. 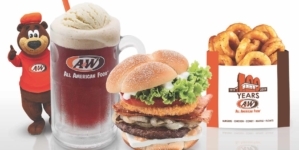 Like all cruises, food can make or break your experience. 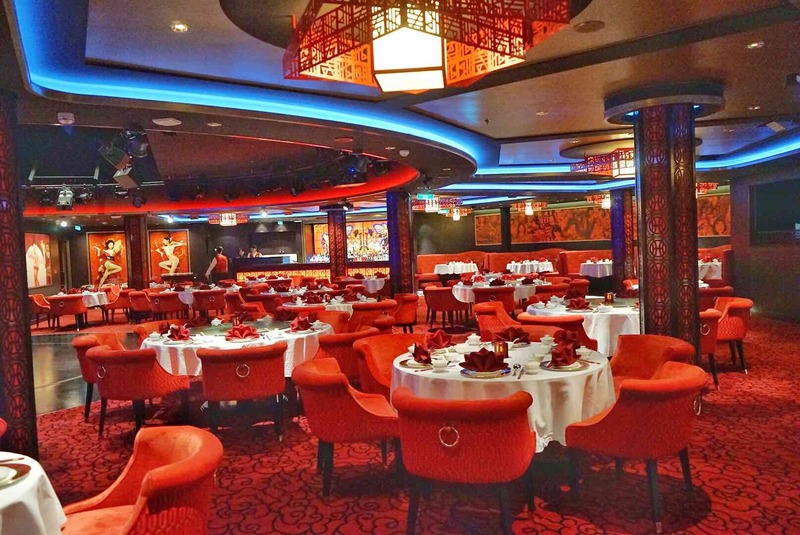 You can either go for the buffet at the Lido which offers a mouth-watering spread of Indian and International cruises. Folks who adore Indian cuisine will be thrilled to know that the cruise caters a section of the buffet spread to Indian dishes. Of course, if a buffet is not your style, you can always opt for set meal dining at Dream Dining Room. Here you get to savour a wide variety of Asian and international cuisine in a dramatic ballroom dining setting, complete with floor-to-ceiling windows so you can take in the spectacular ocean views. 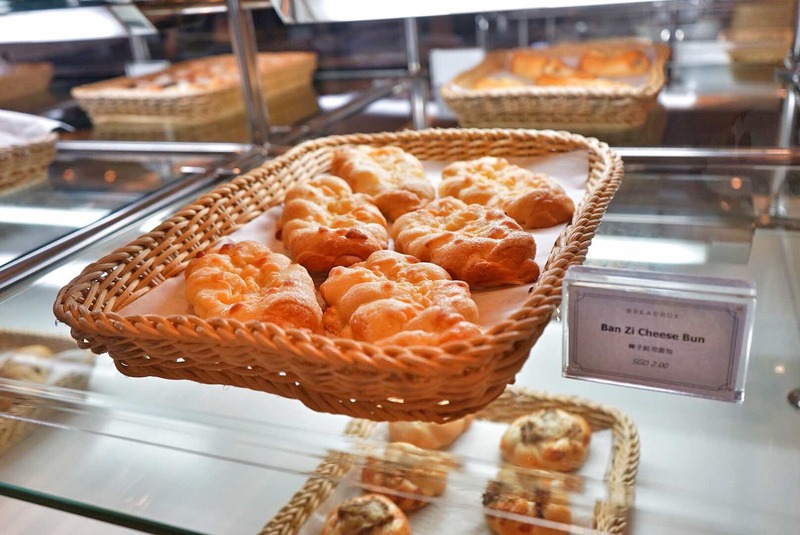 Besides the complementary dining spots, you can also choose to go for the non-complimentary dining venues. We went for Umi Umi on our first evening. 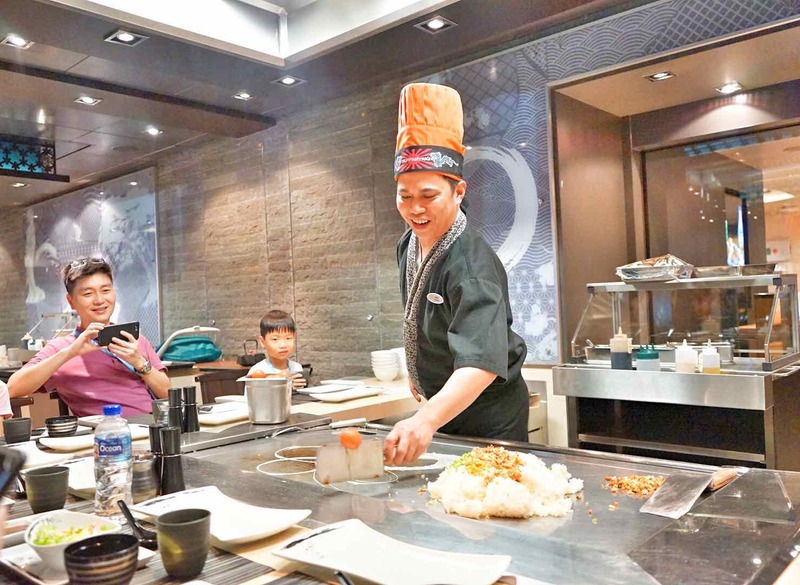 It was quite an entertaining culinary experience to dine at one of the restaurant’s grand teppanyaki tables. Our personal chef did more than just cook, he was also a highly interactive performer – slicing, dicing and flipping our meal right before our eyes. 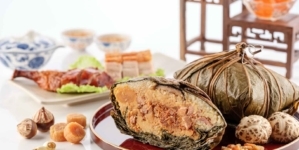 There are other non-complimentary options such as HotPot, Seafood Grill, Bistro By Mark’s Best as well as the beautiful Silk Road Chinese Restaurant. We love the distinctive old glamour setting. It feels like being transported back to olden days Shanghai. If you are one who needs cakes and coffee to round up your meal, you will not be disappointed. 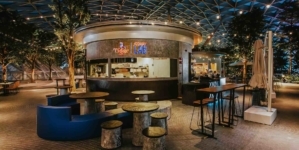 There are cafes and bars around for you to chill and chit chat with your loved ones. If you love to get tipsy, Bar City is the destination to celebrate the good life. You can take your pick from a collection of unique venues, including Johnnie Walker House, Penfolds Wine Vault, Mixt cocktail bar and Bubbles champagne bar. 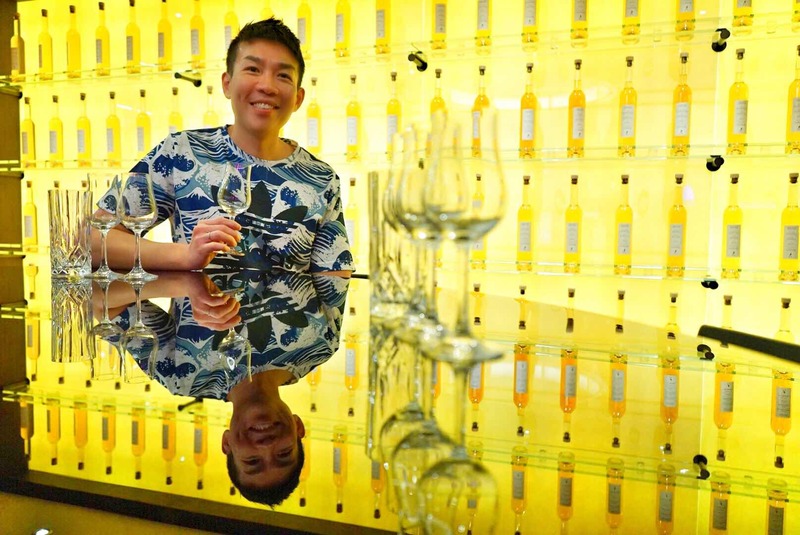 This Johnnie Walker House is the world’s first at sea. Complete with a tasting bar where you can discover, appreciate and even purchase a selection of the rarest John Walker & Sons variants and single malts not available elsewhere! Our personal favourite place was Bubbles. Featuring an extensive selection of the best champagne, it is the ideal place for a celebration. Just order by the glass or get a bottle and chill out at this beautiful lounge bar, which also features a menu of delightful canapés to make it a truly elegant evening. One of the highlights of the cruise was its epic performance – Voyage of A Lover’s Dream at the luxurious 999-seat Zodiac Theatre. 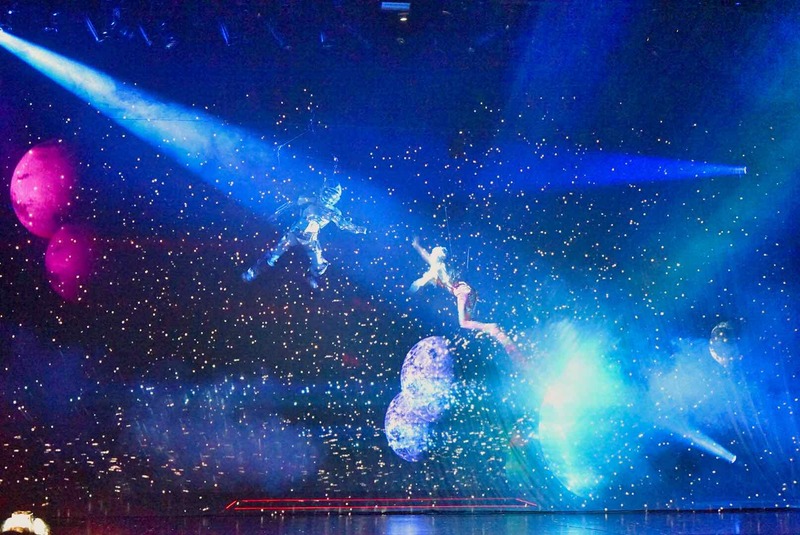 This is Dream Cruises’ signature production show which portrays a surreal relationship between a mermaid and an astronaut. The acrobatics display and special effects make it a show not to be missed when you are onboard. Early reservation is recommended. Can you spot the astronaut and the mermaid finally meeting each other? 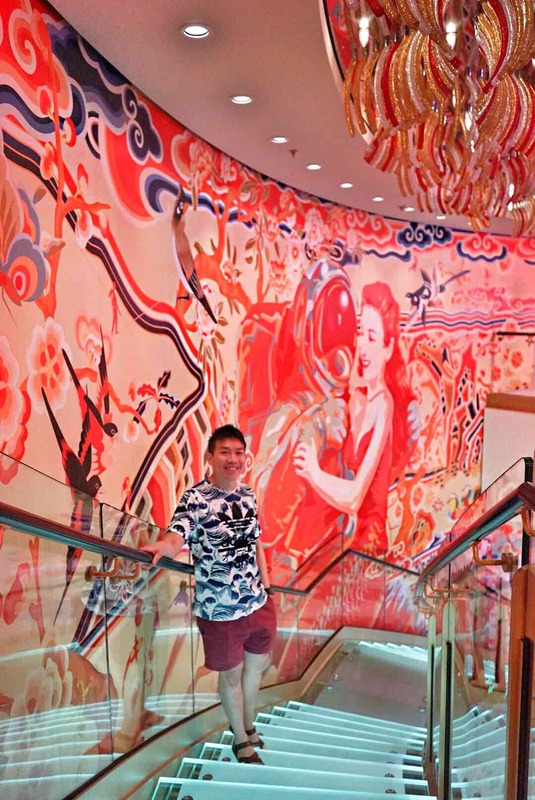 Overall, we really enjoyed our entire Genting Dream experience especially the water slides. We felt it was a really interesting attraction that made the ship stands out from its competitors. But of course, I do have a personal weakness for water slides. 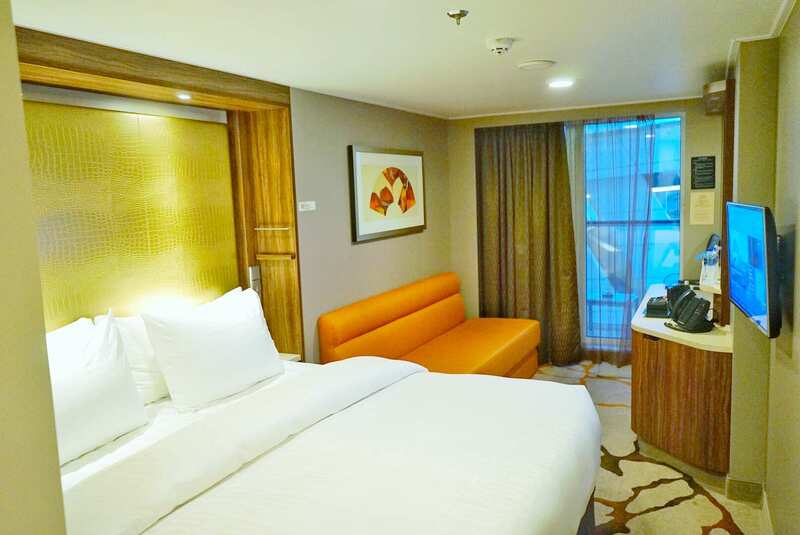 Dream Cruises Genting Dream offers a lovely experience with something for everyone in the family, do book early before peak periods to avoid disappointment!